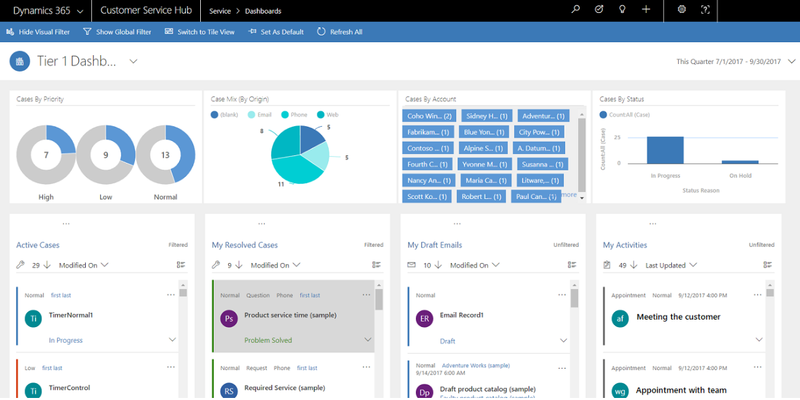 This post describes our approach and best practices to consider while implementing Microsoft Dynamics 365 Customer Service. · Strategy – Plan out your implementation from the start. Define purpose, scale, budget, baselines, promotion, delivery, maintenance and escalation methods prior to kick-off. This will aid in clarifying internal and business expectations and help keep costs and schedule as projected. The approach can be defined with the following milestones. Knowledge - At the core of an effective customer self-service solution is a strong knowledge base. The knowledge base allows you to easily add, edit and deliver information and use customer feedback from across channels, agent knowledge of frequently asked questions, keyword search data and more to provide the answers and information customers want and need. It provides agents access to a central knowledge base of product, service and customer service information so that they can deliver current, consistent answers and train faster. o Knowledge Management Process: The following diagram describes the default process for creating and using knowledge articles in the Customer Service Hub in Microsoft Dynamics 365. 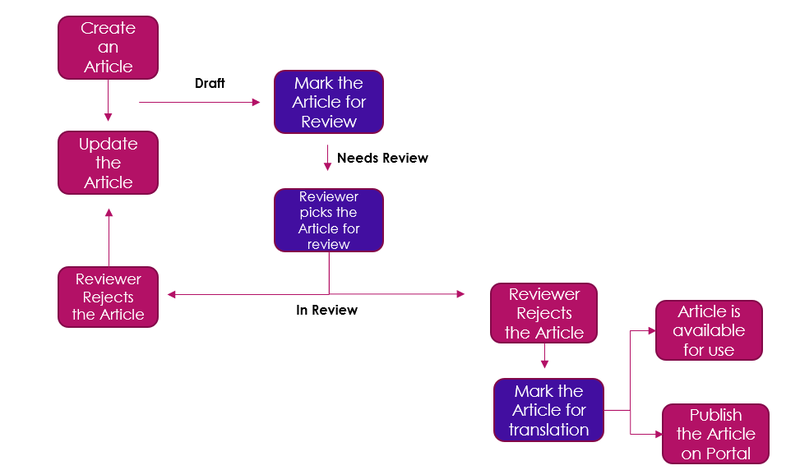 § Create an article and mark it for review. § The reviewer can approve or reject the article. § If the article is rejected, it is sent back for edits or updates. § If the article is approved, it is published on the portal. It is also available in search and can also be translated. 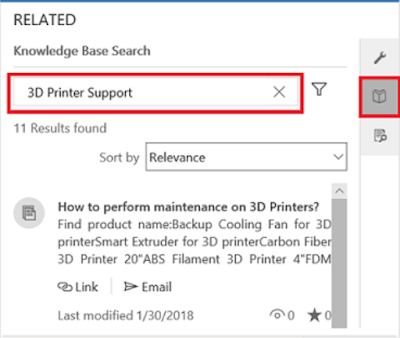 § For more information, please refer to Microsoft Documents “Create and manage knowledge articles” https://docs.microsoft.com/en-us/dynamics365/customer-engagement/customer-service/customer-service-hub-user-guide-knowledge-article. o Multi-stream dashboards: Primarily used for Tier 1 Support where representatives handle a large number of cases across multiple workstreams. Users can easily switch from a standard view to an interactive tile view to dissect and absorb data effectively. It further provides the ability to drill down to the emphasizing records. o Single-stream dashboards: Primarily used for Tier 2 support representatives that handle relatively small to medium sized caseloads and require more complex or escalated data breakdown in a single view. o Both multi-stream and single-stream dashboards contain interactive charts that give you a count of relevant records, such as cases by priority or by status. These charts also act as visual filters. o For more information, please visit Microsoft Documents “Manage service cases using interactive dashboards” https://docs.microsoft.com/en-us/dynamics365/customer-engagement/customer-service/customer-service-hub-user-guide-dashboard. · Collaboration - Promote instantaneous collaboration and knowledge sharing among agents. 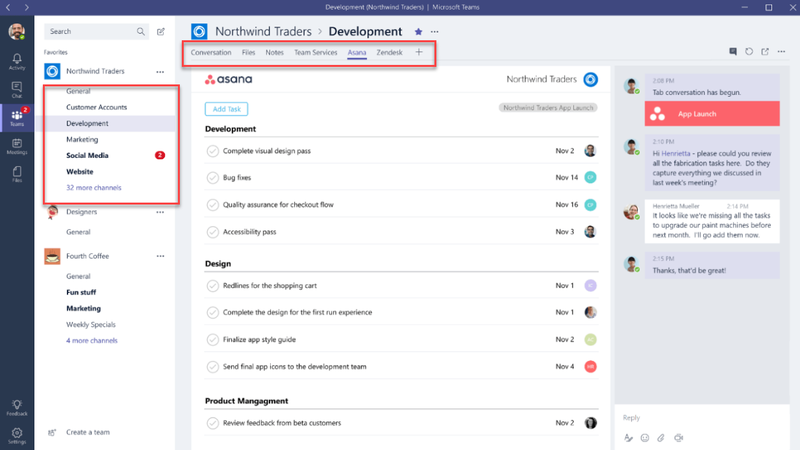 Use community (feedback form) and/or social tools (Yammer and / or Microsoft Teams) to help speed resolution of trending issues. 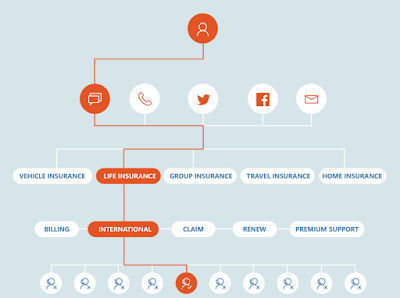 · Consolidate - Implement an agent service desk that combines all channels. 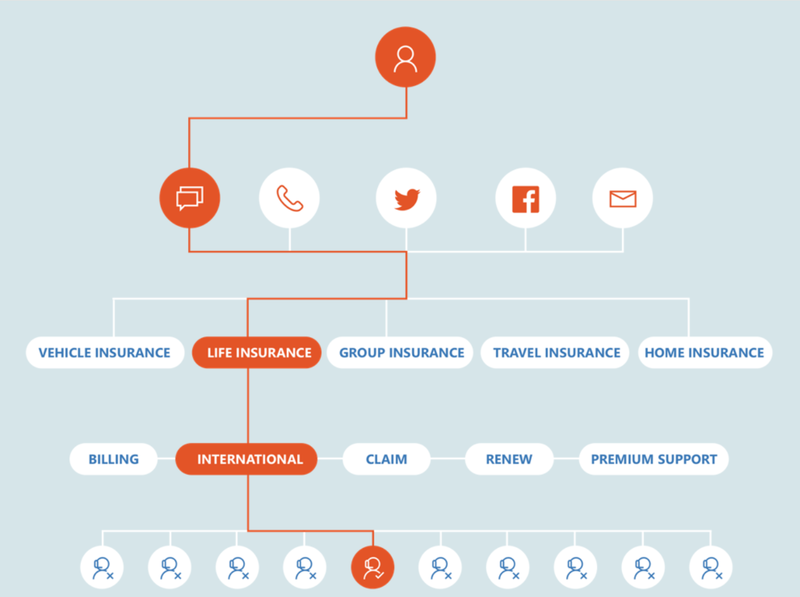 Merge channels for omnichannel service delivery so that agent can seamlessly transition across channels with the customer. 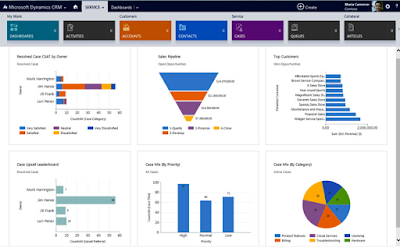 o Businesses can utilize the unified routing and work distribution capabilities for Microsoft Dynamics 365 to route work items initiating from chat, messaging, and web portal channels to various customer service support teams within the company. Through setup and configuration, organizations have the ability to define the role, profile, permissions and makeup of the agents’ access and automate workflows (queues) based on their availability, capacity and team makeup. This helps streamline the process and makes it easier for the business and respective agents to work effectively and proficiently. For more information please visit Microsoft Documents “Unified routing and work distribution” https://docs.microsoft.com/en-us/business-applications-release-notes/october18/service/customer-service-omni-channel-release-notes/unified-routing-work-distribution. · Delivery - Distribute reliable information that is searchable and well organized by topic, most-viewed, most-recently-added, etc. · In the Related section, select Knowledge Base Search and search for knowledge articles using keywords in the search box. · Quick find in Grids - Go to Service à Knowledge Articles and select the search box to search the knowledge base using keywords. · Global search - Select the Search icon on the navigation bar to do a global search for knowledge base articles. Global search lets you use “Characterized” Search or “Relevance” Search. · For more information, please visit Microsoft Documents “Understand knowledge base search mechanisms” https://docs.microsoft.com/en-us/dynamics365/customer-engagement/customer-service/knowledge-base-search-methods. · 360 View - Provide a full circle view of the customer for personalized and appropriate service. Give agents a heightened view of customer information via custom widgets and dashboards so that they can have ease of access to data, product history, sentiment analysis, service history and other customer-centric material. · Feedback - Incorporate agent feedback to improve your service replies and delivery. Gather feedback from agents to improve procedures, efficiency, and self-service knowledge base with answers to most frequently-asked customer questions. o Improve your products and services by enabling users to provide feedback and ratings for entity records in Microsoft Dynamics 365. For example, you can enable feedback and ratings for the Product entity to know user's feedback on the products you sell, or on the Incident (case) entity to understand and improve the quality of your customer support team. o You can enable feedback and ratings for both system and custom entities in Dynamics 365. By default, the KnowledgeArticle entity is enabled for feedback and ratings. Use the new Feedback entity to create and manage feedback for entity records.